Dough divider is productive baking equipment which as much as possible simplifies process of weighing and cutting of the test for pieces. 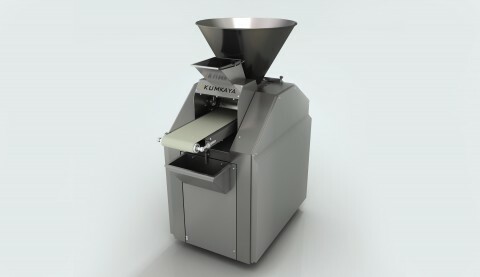 The company Kumkaya developed a new technical solution for a dough divider, the special cutting mechanism and the vacuum aggressor allow to process even very gentle types of the test, without injuring and without squeezing it. Productivity of the equipment can be regulated thanks to three speeds of cutting. In addition at the request of the client the machine is equipped with the counter of the cut preparations from the test and automatic adjustment of speed of operation. The facade of the equipment can be made of stainless steel, plastic of the European standard or became with electrostatic powder painting.